Hearing a public interest litigation (PIL) filed by Avishek Goenka challenging the rejection of his RTI application made to a central government department by using his post box number to protect his identity, a division bench of the Calcutta High Court comprising Acting Chief Justice Ashim Kumar Banerjee and Justice Debangsu Basak held that a person making a petition under the Right to Information (RTI) Act need not give his name and address and can make the petition by using only a post box number. 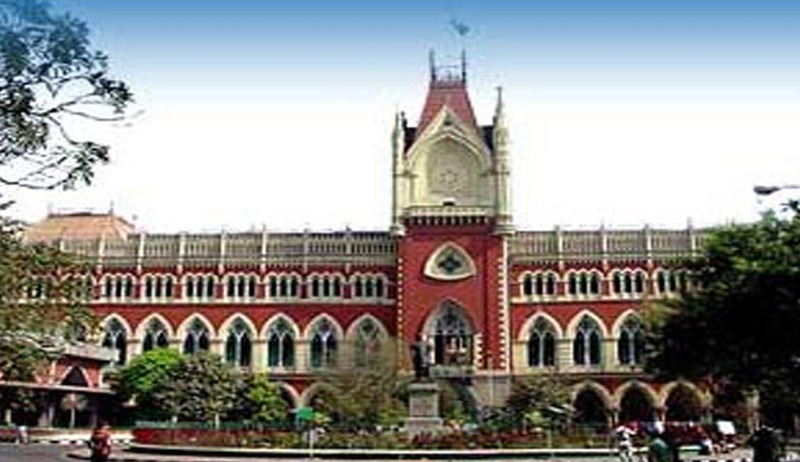 The order of the Calcutta High Court would be applicable only in West Bengal and the Andaman and Nicobar islands. Other states may follow the order, but it is not a binding upon them. This decision, which would serve as a major protection for whistle-blowers in the country, was delivered by the division bench to protect applicants or RTI activists from attack and harassment by persons who do not want information about their activities to be disclosed. As per the records, during the last six years, about 150 RTI activists had become victims for seeking information by giving their names and addresses, out of which 24 people were killed, 52 people were assaulted and 74 people were harassed. Stressing on the fact that RTI activists are vulnerable human rights defenders in India who often act alone against corruption and other illegal activities of public authorities and political leaders who do not want information about their activities to be disclosed, Goenka contended that it is a person’s right to apply for seeking information under the RTI Act by using post box number. He further submitted that only when RTI activists get killed or seriously injured that they receive the attention of the media and when RTI activists make complaints, no appropriate action is taken by law enforcement personnel. Stressing on this point, he submitted that the lives of activists could have been protected if they were allowed to apply under the RTI Act by using post box number. The Parliament has also raised the need for protecting RTI activists, several times in the past. While hearing the case of the murder of RTI activist Satish Shetty in Maharashtra on 7 May 2010, the Bombay High Court had ordered the state to provide police protection to any person complaining of threats or the use of force after filing RTI application. (i) All public authorities shall direct the officers under their command to accept demand drafts or banker cheques or IPOs payable to their Accounts Officers of the public authority. This is in line with clause (b) of Rule 6 of the RTI Rules, 2012. In other words, no instrument shall be returned by any officer of the public authority on the ground that it has not been drawn in the name of a particular officer. So long as the instrument has been drawn in favour of the Accounts Officer, it shall be accepted in all circumstances. (ii) All public authorities are required to direct the concerned officers to accept IPOs of the denomination of higher values vis-à-vis the fee / copying charges when the senders do not ask for refund of the excess amount. To illustrate, if fee of Rs. 18/- is payable by the information seeker and if he sends IPO of Rs. 20/-, this should be accepted by the concerned officer rather than returning the same, for practical reasons. The entire amount will be treated as RTI fee. (iii) All public authorities shall direct the CPIOs and ACPIOs under their command to accept application fee and copying charges in cash from the information seekers in line with Rule 06 (a) of the RTI Rules. It is made clear that the CPIOs and APIOs will not direct the information seekers to deposit the fee with the officers located in other buildings / offices. (iv) DoPT shall direct all the CPIOs / APIOs / Accounts Officers to accept money orders towards the deposition of fee / copying charges. This is in line with the order dated 19.9.2007 passed by the Karnataka Information Commission in B. V. Gautma vs. Dy. Commissioner of Stamps & Registration, Bangalore (KIC 2038 CoM 2007). “(1) Display of the signboard “RTI APPLICATIONS ARE ACCEPTED HERE” should be made on the notice board / prominent place in the post office. In addition, the names / addresses of the CPIO and appropriate authorities of the Post office should also be displayed. The Department of Posts is required to ensure that the above directions are complied with by all concerned. (vi) As noted herein above, as of now, the RTI applications and the requisite fee are being accepted by the designated Post Offices, numbering above 4700. Considering the size of the country and the number of RTI applicants/applications, the number of designated Post Offices appears to be too small. It has been brought to the notice of the Commission that there are 25,464 Departmental Post Offices and 1,29,402 Extra Departmental Branch Post Offices. The Commission, therefore, advises the Secretary, Department of Posts, to consider designating all 25,464 Departmental Post Offices to accept RTI applications and the requisite fee. (vii) The best solution to the fee related problems appears to be to issue RTI stamps of the denomination of Rs. 10/- by the Dept. of Posts. It would be a time and cost effective step. The Commission would urge Department of Posts/DoPT to consider the viability of this suggestion with utmost dispatch. Pursuant to the above directions, the postal department decided to bring out an RTI stamp for sale and also set up special counters.